Situated in the energy capital of Europe, with ties to oil and gas and other industries, RGU is the perfect environment for your studies, with renewables, manufacturing and other engineering-related companies right on your doorstep. We develop Engineers with the ability to solve problems and to undertake challenging and complex projects in all walks of life. We combine a wide-range of expertise in engineering with purpose-built facilities and strong commercial links to provide well-rounded and practical education; supporting life-long-learning. We work closely with local, national and international companies to ensure that we continue to meets the demands of employers and their changing industries. The result is an impressive suite of flexible course programmes at all levels, as well as professional and innovative services to industry. Our academic team members have a wide-range of qualifications, experience and expertise, which is reflected in the portfolio of innovative and flexible degree programmes on offer. They also engage in research, consultancy and the provision of specialist courses for industry. This means that our school is actively involved in all aspects of the engineering profession, and can keep you up-to-date on current practices and modern advances, as well as challenges facing the industry. Engineering is about resolving complex problems and challenges and designing the essential products, services and processes that we all use every day. Our variety of courses cover specialist areas including electrical, mechanical and energy and communications. We appreciate that for prospective undergraduate students it may be difficult for you to pinpoint right now the exact direction you wish to follow in your engineering studies and in your subsequent career. That’s why we have made our undergraduate course programmes as flexible as possible, to allow you to choose the right direction once you have a better understanding of each strand. In semester 1 the courses are structured to allow you to easily transfer within the engineering disciplines by semester 2 of year 1. A strong indicator of the quality and relevance of our courses is our excellent record of accreditation from professional institutions. Accreditation means that our courses have passed stringent quality tests so that as a graduate you will be eligible to gain further professional qualifications such as Chartered Engineer status. We’re ranked 1st in Scotland and 3rd in the UK for level of earnings in engineering and technology, 1 year after graduation for our undergraduate courses (LEO published 2018). These undergraduate programmes provide you with the full academic requirements for Chartered Engineer status, which is the highest professional qualification for an Engineer in the UK. We offer an intensive fast-track four-year MEng course to selected students, allowing completion in 48 months. This is possible by using the summer months following the third and fourth years of academic study for industrial placement and learning. The standard five-year MEng is also available for the three Mechanical Engineering courses. This is a four-year course which, together with further study at Master’s level, satisfies the academic requirements for Chartered Engineer status. Students who demonstrate an aptitude which is above average may transfer onto a MEng course at the end of year 2, and then may complete the MEng in a further three years, or less for the fast-track course. 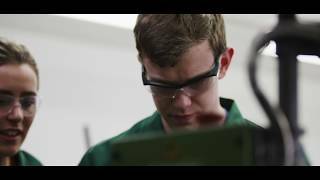 All of our undergraduate and postgraduate engineering courses are available on a part-time basis. Please contact us for further information at admissions@rgu.ac.uk for undergraduate or postgraduate courses. This qualification applies to the part-time evening class courses in Mechanical Engineering and Electronic and Electrical Engineering. The creation of RGU’s new Oil and Gas Institute provides an important focus for the sector as a whole. Shell Exploration and Production Europe (Shell EPE) provides in house learning modules as essential parts of the training and competence development of relevant engineering staff. Helping companies to resolve challenges, bring new products to market and achieve their corporate objectives. The School of Engineering boasts modern, purpose-built laboratories and facilities, equipped with the very latest engineering technologies, ensuring that you always have access the tools to undertake industry-level projects, and enhance your learning experience. This includes an Engineering Applications lab, ROV pool, wind tunnel and the 'Slice of Ocean Wave Tank' which is currently helping researchers to study and test new innovative wave power technology that can withstand harsh environments. Our Oil & Gas Centre provides state-of-the-art facilities and is home to our fantastic DS-6000 drilling simulator, a joint venture between RGU and our partner the Aberdeen-based international Drilling Contractor KCA Deutag. Industrial placements are an important part of the learning experience at RGU. They provide an opportunity to gain a structured learning experience within a professional environment and to consolidate and broaden the knowledge gained in academic studies. Placement experiences also increase employability upon graduation, and give employers access to motivated students who can undertake projects or other tasks as required by organisation. We have a proven track record of working in collaboration with industry, and with a dedicated Placement Office, we have strong relationships with employers. As a result, some companies offer our students placements and scholarships, which often leads to employment upon graduation. Details are listed under each course. The Energy Institute (EI) is the leading professional body for the energy industries, supporting almost 13,500 professionals internationally. One of the world's leading professional societies for the engineering and technology community. The fastest growing professional engineering institution in the UK. Repsol Sinopec, an independent upstream oil and gas company, provides scholarship opportunities to our School of Engineering, and business, management and accounting students. Petrofac is an international provider of facilities solutions to the oil and gas production and processing industries. The company currently supports our School of Engineering and Aberdeen Business School students by providing scholarship opportunities. KCA Deutag is one of the world's leading onshore and offshore drilling and engineering contractors. The company currently supports our School of Engineering and Aberdeen Business School students by providing scholarship opportunities. Technip is a world leader in engineering, technologies and project management for the oil and gas industry. Backed by more than 50 years of experience, Technip is a key contributor to the development of technologies and sustainable solutions for the exploitation of the world's energy resources. FMC Technologies, Inc. (NYSE:FTI) is a leading global provider of technology solutions for the energy industry and other industrial markets. The Company designs, manufactures and services technologically sophisticated systems and products such as subsea production and processing systems and surface wellhead systems. Wood is a global leader in the delivery of project, engineering and technical services to energy and industrial markets. It operates in more than 60 countries, employing around 55,000 people, with revenues of over $10 billion. Worley Parsons provides its customers with a wide range of consulting and advisory services, and deep technical expertise across multiple projects. The Bureau Veritas Group has consistently built recognised expertise, helping clients comply with standards and regulations relating to quality, health and safety, environment and social responsibility. The Group manages client relationships and delivers a comprehensive range of services including inspection, testing, auditing, certification, ship classification and related technical assistance, training and outsourcing. Sparrows Offshore Services is the lead brand within Energy Cranes International Limited, the world's most successful marine crane and lifting services contractor in the offshore oil and gas industry. AGR Group is a leading provider of essential services and technologies to the international petroleum industry. As the fifth largest publicly-traded integrated oil and gas company in the world, and a major actor in the chemicals business, Total has operations in more than 130 countries on five continents with approximately 97,000 employees. To meet growing energy needs on a long-term basis, Total's strategy involves deploying a sustainable growth model combining the acceptability of its activities with a sustained program of profitable investments. Our research focuses on providing innovative and practical solutions to industrial problems, with particularly strong industry-focused research in the oil and gas and renewable/sustainable energy sectors. Our research is well recognised for transferring new technologies to industry through spin-out companies, patents and knowledge transfer partnerships. We develop original ideas through to applications, with particular emphasis on implementation for wealth creation and life-quality improvement. We have several laboratory suites specifically designed for research and promote a dynamic environment without traditional discipline-related barriers; which has benefited the development of multi-disciplinary Research Groups which are Well Engineering, Multiphase Flow Modelling, Condition Monitoring, and Advanced Materials. The related subjects of Energy, Environment and Sustainability (EES) extend across a range of significant research activities within our Design & Technology Research subjects. An RGU student has been selected to represent Great Britain in the World University Winter Games in Russia this weekend.